Core i3, i5, and i7 - What's the Difference? Intel, one of the most prolific tech companies in the world, is known for producing Intel Core i3, Core i5, and Core i7 processors. Many buyers get stumped when they are having to make a choice between the three. But fear not! We will break everything down into what you need to know. The first, and primary question, is what do you use your computer for? Basic Stuff – Browsing, Email, Facebook, etc. You need an i3. 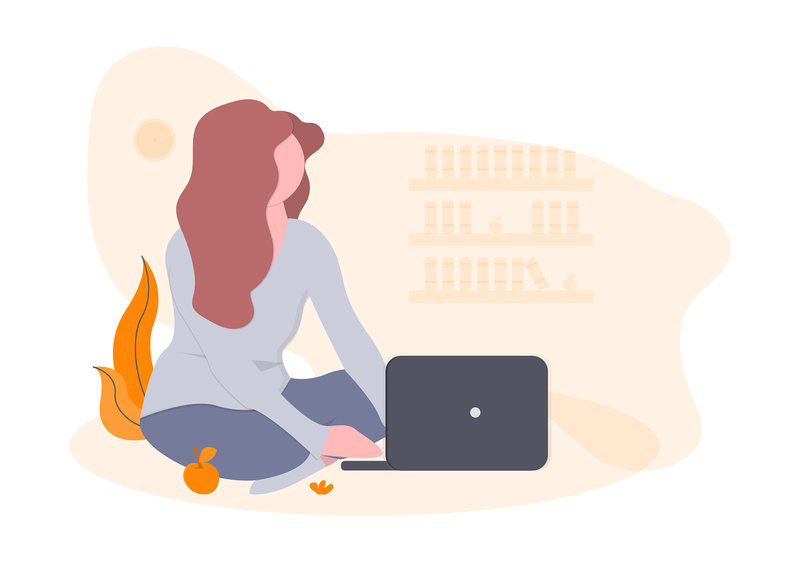 This is great for people who simply check their emails, browse their favorite websites, using Microsoft Office, video calls, and social networks. The Core i3 has approximately 3 Megabytes of cache. Cache size plays a factor, similar to that of RAM, which allows the computer to increase in its processing speed. The i3 is definitely not for those who want cutting-edge graphics, or those who want to load professional software. The i5 allows users to find that delicate balance between performance and price. This means i5’s are relatively good for middle-tier work. They can be good for gaming if a G processor or Q processor with a dedicated graphics processor is purchased. At last, you guessed it, the i7 Core holds the top for sheer processing power. Those unicorn multi-taskers who always have 10+ windows/tabs open at the same time, gamers who need the biggest and the best, or if you simply hate waiting for anything – get the i7. The speed boost between the i3 and the i7 is enormous. In conclusion, the optimal processor is really dictated by your needs. Now, there is one more Core that is reserved for video streaming gamers, video editors who are those multi-tasking unicorns, and that is the i9 Core. For those who aren’t within that criteria, the i7 should be good enough. SSD vs. HDD: Should You Upgrade? 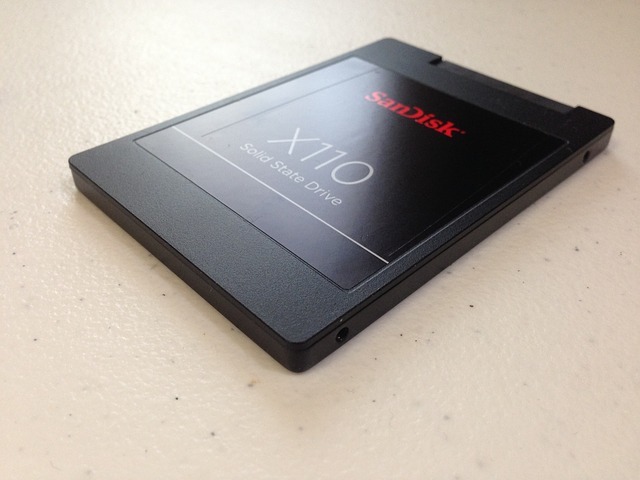 An SSD, or Solid-State Drive, is similar to that of a USB flash drive. A much larger and more refined form of a USB flash drive. An SSD contains no moving parts, unlike its counterpart – the HDD, or Hard Drive Disk. The HDD stored memory by transcribing the read and write in a mechanical way, with an arm adjusting from the proper location on the storage device. Alternately, the SSD stores the information in microchips which have no mechanical parts making the process of retrieving information much more efficient. Let’s use baseball as an analogy. It would be akin to the difference between hitting a ball and running to 1stbase (HDD), or hitting the ball and teleporting to 1stbase in a split second (SSD). Which one would you prefer? 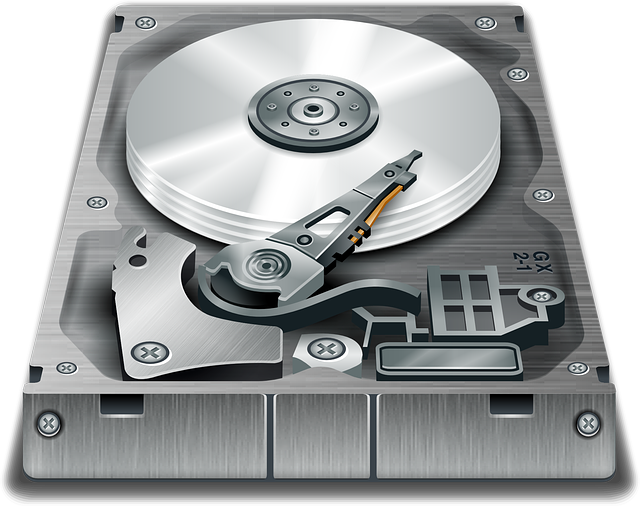 HDDs/Hard Drive Disks are usually found in older models of laptop computers or cheaper computers. One of the upsides to HDDs is that they are cheaper. However, if managing your time is one of your core values then an HDD is not a great choice. Let’s go through the attributes of both to see how they compare to each other and your needs. The SSD wins as it does not draw as much power as the HDD. The SSD averages at 2-4 watts which can result in a 25+ minute boost in battery life. In contrast, the HDD averages at 6-8 watts which means it uses more of your battery life. The SSD is generally more expensive in terms of monetary cost. In this aspect, the HDD wins – on a monetary level. But SSDs typically crash less than HDDs so you are also purchasing them less. Combined with drawing electricity, the HDD and SSD may break even. It’s hard to precisely tell. The SSD boots, on average, a whopping 10-15 seconds while the HDD boots approximately 30-45 seconds. The SSD wins. SSDs generally fail approximately 2 million hours whereas HDDS fail around the 1-1.5 million hour mark. SSDs also take the cake when it comes to opening files in a time-effective manner. SSDs are up to 30% faster than HDDs. Ever notice your computer getting hot and your fans spinning at breakneck speed? It might be because you are using a Hard Drive Disk. Though HDDs also do not have much heat production, Solid-State Disks do not have any “moving parts” while a Hard Drive Disk does. One of the most important aspects of copying files is the write speed. SSDs, once again, win in this category at 200+ MB/s. Some higher end drives even topping out at 550 MB/s. The HDD ranges between 50 – 120 MB/s for comparison. Overall, the SSD is the clear winner. We recommend getting your SSDs installed by computer professionals. Currently, we are offering a special on Operating System Installs/Reinstalls so it may be in your best interest to get it done all at one time. If you need assistance, visit our location at 1331 S. Beckham Avenue in Tyler, TX or call us at 903-858-4383! This is the most obvious issue. But it’s one of the most important ones. Your Operating System is the heartbeat of your computer. And if it’s infected with ransomware, it could do a whole lot more than just kill your computer. If you are storing any passwords that are important, any information of current customers that could violate their privacy rights, then you need to update your computer to the latest OS immediately. No corner is safe. We recommend that you take it to a professional so that they can back up all of your files so that nothing is lost in the process. Another issue is one that everyone hates. Your computer will slow down and make everything that you do much more inefficient. If you’re worried about it working on your computer, which is older, we have actually seen Windows 10 improve the performance of an older PC than Windows 7. Windows 10 is lighter and faster. Many apps may not perform as well, or at all, once support ends. Windows 7 end of life may be coming. But it’s not the end of the world. Bring in your computer to Computer Repair In Tyler today and get 15% off operating system installs. Or contact us through our contact form to save! Offer ends 03/29/2019. 1. First, let’s say a hacker guesses your password or a website you login to has a security hole and they are somehow able to obtain your username and password. That same hacker, if her or she is smart, will at least try that same username and password combo on other popular sites. Maybe they got your password through a flaw on a small time cooking recipe site, not big deal right? But if you used that same combo for your bank account, you could quickly be in financial trouble! 2. If you only had to worry about one hacker, that would be one thing. But today, hackers are just as well connected across the internet as any of us are. Your one stolen password will almost certainly end up complied into a massive, mindbogglingly large list of passwords stolen from millions of users across thousands of websites. Maybe the one person who figured out your one password will be a bit lazy. Maybe they’ll only try a few sites and give up. Once your password gets into one of these massive lists, you’ll have an entire army of hackers, and their special automated tools, trying your password on every site. Between new hackers coming along and new automatic tools that make use of these lists, you’ll never be safe using that same username and password combo again. With all the scariness surrounding passwords and hackers, what can you do to protect yourself? Well, one thing we highly recommend is that you stop reusing password across different sites. This sounds hard, right? It means you’ll need a different for every site you visit. The way to do this without it become a chore is to use a password manager like 1Password or Last Pass. These programs help you store your passwords securely on your computer and help suggest new passwords for every site you visit. Often times, these programs will pop up like magic and help you fill in your unique password for every site you visit. Not only are you more secure, logging in to site becomes easier as well. Another thing we recommend you do is check to see if any of your previous passwords are in any of these giant list hacker compile. Previously, the easier way to do this was to go to haveibeenpwned.com. But now, Google has stepped in and has an even easier solution. Google’s new Password Checkup extension for their Chrome web browser makes it so you don’t even need to do the checking yourself. Just install the extension located here (https://chrome.google.com/webstore/detail/password-checkup/pncabnpcffmalkkjpajodfhijclecjno) and it will run in the corner of your window and do your checking for you. Whenever it sees you using a password that has been is part of one of those giant hacker password lists it will alert you to the danger and ask if you want to use a different password. Staying safe on the internet isn’t always easy what with so many bad actors out there hoping to spot even the smallest slip up. 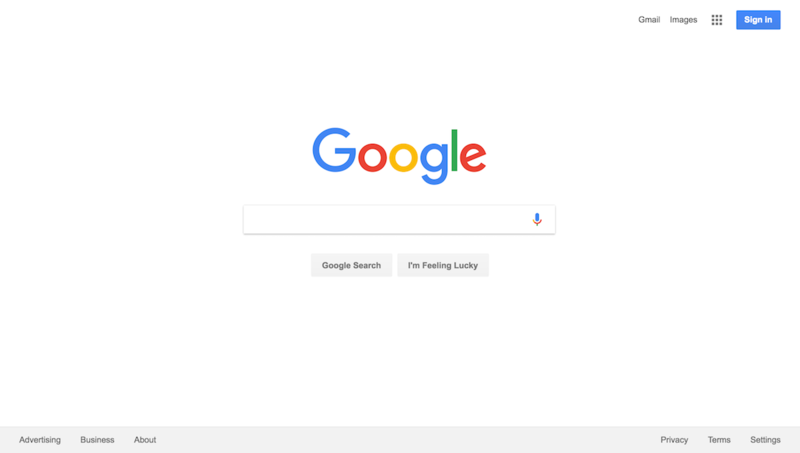 But using tools like Password Managers and this new Password Checkup extension Google has released will help you keep your passwords out of hackers’ hands. It’s a common thought that Mac users do not require antivirus like their Windows PC user counterparts. However, the climate for this statement is everchanging in the digital age we are in today. MacOS is a Unix-based operating system and is sandboxed. There are fewer Macs being used than Windows PC. Macs can get infected but it is much harder for the virus to spread to the heart of the machine. The recent growth of the web and the ever-increasing popularity of the cloud has changed the landscape for possible threats. 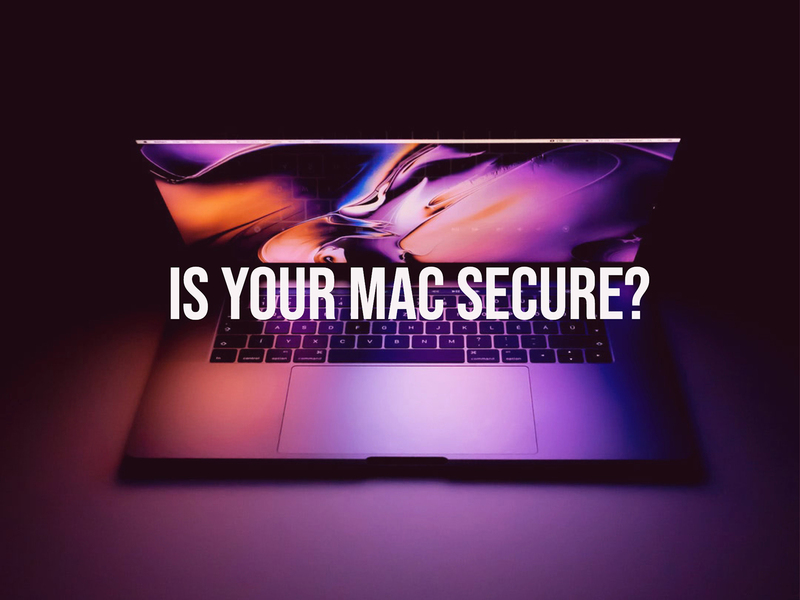 Although it is harder to target Macs, and the number of users is a lot smaller than other brands of computers, there are still some viable reasons to look into a good Mac Antivirus Software. Malwarebytes reported in March of 2018 that malware grew more than 270 percent back in 2017. That being said, Windows 8 and 10 are the most secure Windows updates ever, and criminals are starting to take not that maybe it would serve them well to target Mac users more frequently. Mac users need to be made aware that they can, in fact, infect Windows users, especially in a shared network corporate environment. If a Mac user downloads a file with a PC virus, and that file is given to another user it could very well still have the virus code within it. Another issue is that mail can be infected and then forwarded to a Windows machine without the Mac user even noticing. Some Mac users even run macOS and Windows side by side using Bootcamp or other virtual machine solution. Your Mac suddenly starts running very slowly or applications lag much more than they usually do. You see ads pop up on your Mac Randomly. Websites you visit show ads that are unconnected with your usual browsing history. You find software such as browser toolbars that you didn’t install yourself. Websites that don’t usually have ads start to display banners on them. As you may have seen, we are offering a FREE Virus Removal with any computer repair service this week. The reason for such a massive deal is because of the increasing issue of personal computer security. Every password that is used, every site that has been visited, is a log of your personal data. Recently, personal data has been exploited by scammers and hackers who do not seek the interest of you. As a service of Tyler, ETV Software’s Computer Repair – our retail portion of ETV Software – we have the important responsibility of keeping your computer as secure as possible. One of the most prominent issues that seem to happen when viruses infect your computer is that they can delete your important documents or files. This actually happens more than you think. And oftentimes, users don’t even realize it. Until they do… Protecting your personal files for work, college, or even family memories can be lost due to a virus on your computer. It’s the information age. Personal data is being bought and sold. In the event that your data gets leaked, it’s very hard to “un-leak” it. Everything that is written on the internet isn’t written in pencil – it’s written in ink. Every time that you take a video, a picture, or even send a text message, that information gets stored somewhere. And, as you have seen in recent news, that information can get leaked. Viruses are built with malicious intent. Whether it’s to illegally gather your information to sell to agencies or if it’s to simply create chaos in someone’s life, viruses serve no other purpose than to destroy. This is why it’s important to take your computer to your local computer repair shop to ensure that you are protected. Nothing is more annoying than a slow computer. Viruses, outside of the huge issues they can cause, are simply anger-inducing. Speed up your workflow to hit that deadline by simply getting a virus removal. 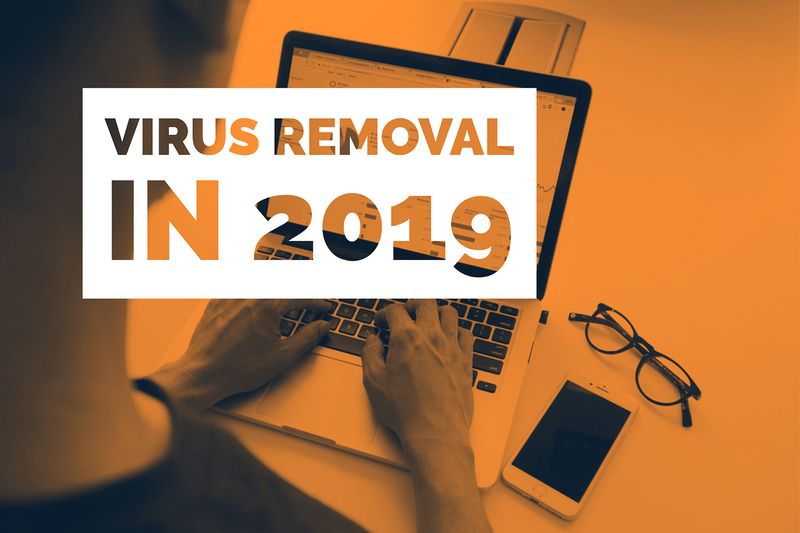 We recommend, at least, monthly professional virus removals by a computer repair professional in order to ensure that you’re working as safely and efficiently as possible. If you own a business with the exchange of information, leaked or lost data can have severe consequences. These consequences have been shown to affect companies like Equifax and Facebook have also been under scrutiny for their leaked data. Lawsuits can totally sink small to mid-sized businesses so it’s important to keep your computers virus free! What's Your Businesses Computer Crash Plan? 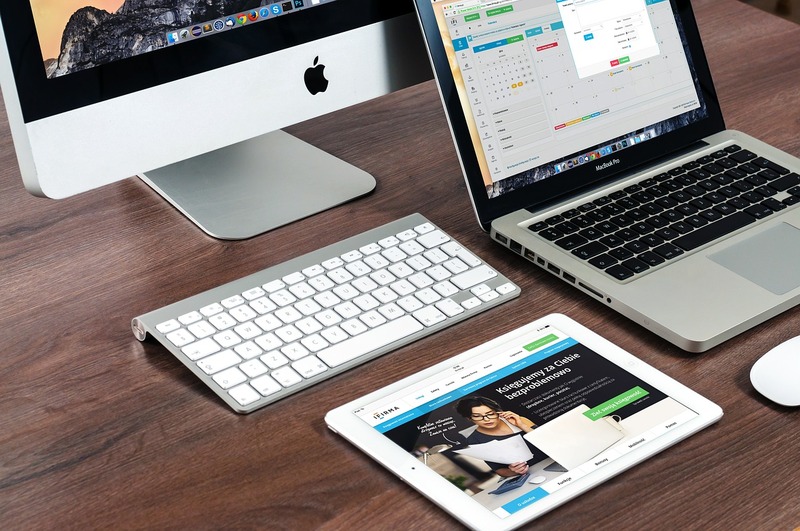 As a business owner in 2018, it’s important to realize that computers are at the heart of keeping your company afloat. 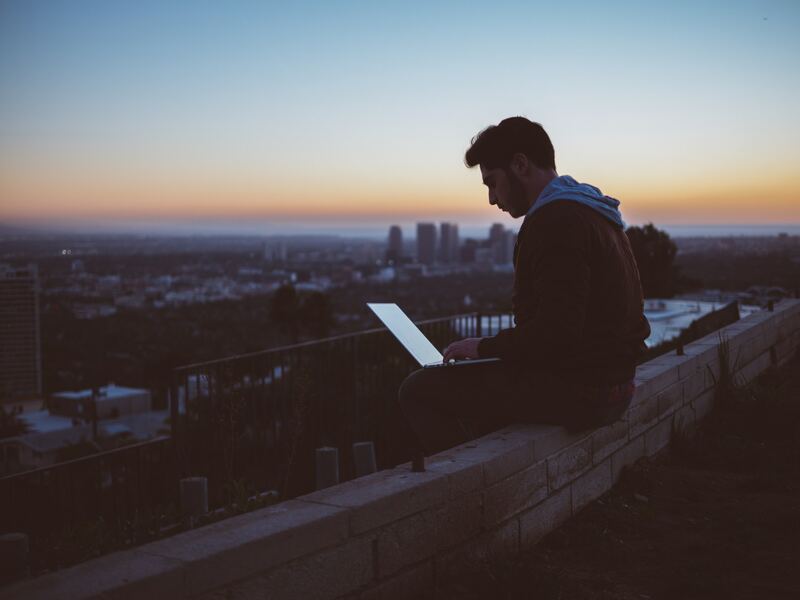 It’s very common to have your computer be lost or stolen, and business owners should keep this in mind when moving forward with their company. No matter how big your company is, you’re in need of a crash plan in case thing don’t go as planned, and they certainly will not, it’s just a matter of how the problem is handled. We will provide you the list and leave it up to you to handle it yourself or call in a professional like ETV Software. Tip number one is to think about keeping your critical files on a cloud-based hard drive. Having an automatic offsite backup for your files is a smart solution for any business with important data. It’s also vital to have a local computer backup solution. This step is easier on a Mac but there are also steps you can take to quickly do this process on a Windows. 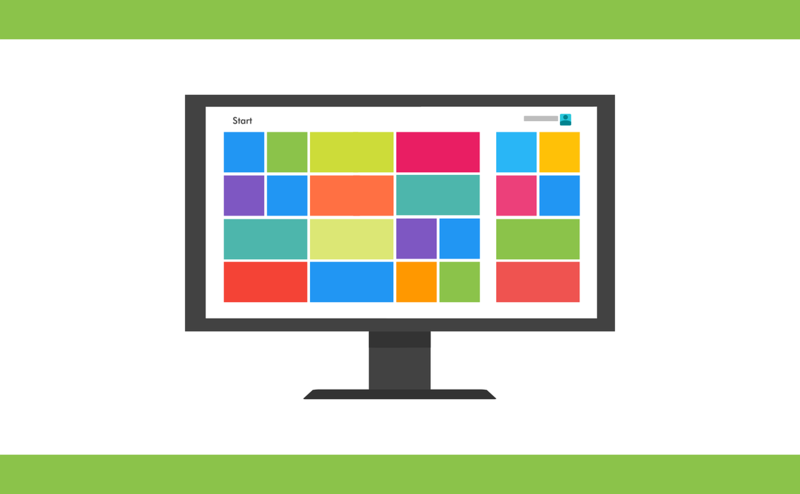 Another great tip for you crash plan is to have an offsite computer backup solution. This is so that if your external hard drives are stolen, burned or any other catastrophe happens you will not lose your data. If you only have an onsite backup solution all your data is still in one physical area and could possibly be destroyed if something were to happen. Backups are important, but it should also not be overlooked to ensure you have proper virus protection on both your Mac and PC. This is a fundamental step in any computer crash prevention plan. Is your current router up-to-date? How about your firmware? One of the most overlooked steps in a crash plan is making sure this software is kept up to date in these technologies. The updates will add needed security features and increase your overall performance. This step is quick and easy and will end up saving your company a lot of time in the future. 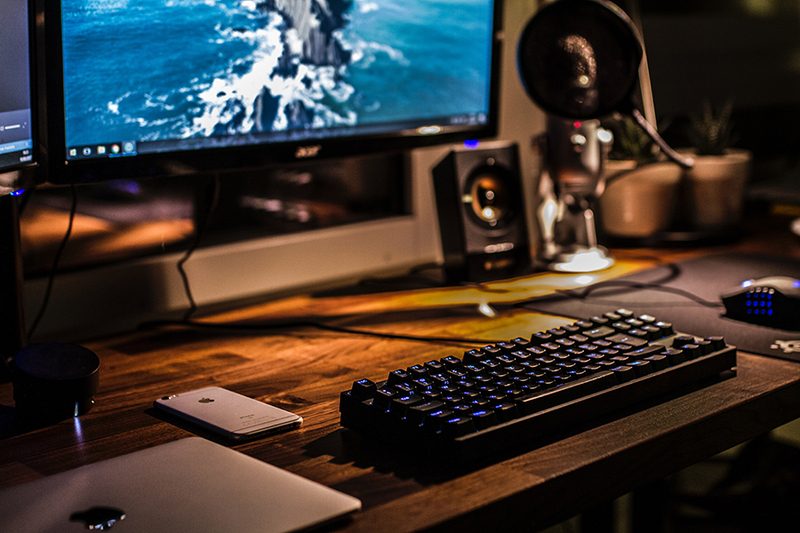 Another factor for businesses to keep in mind is the number of computers in use for your company. It is recommended if you have 10 computers or more there should be a Network Attached Storage, NAS solution for local physical backups. However, this should not take the place of offsite backups, cloud storage or virus protection. NASA is now 60 years old! NASA has just reached its 60-year mark! With the direction the organization is planning on taking; it looks like they are well on their way to having another prolific 60 years ahead of them. NASA plans to incorporate more commercial services into their programs. This is in efforts to create new technologies and markets that have never been offered before. 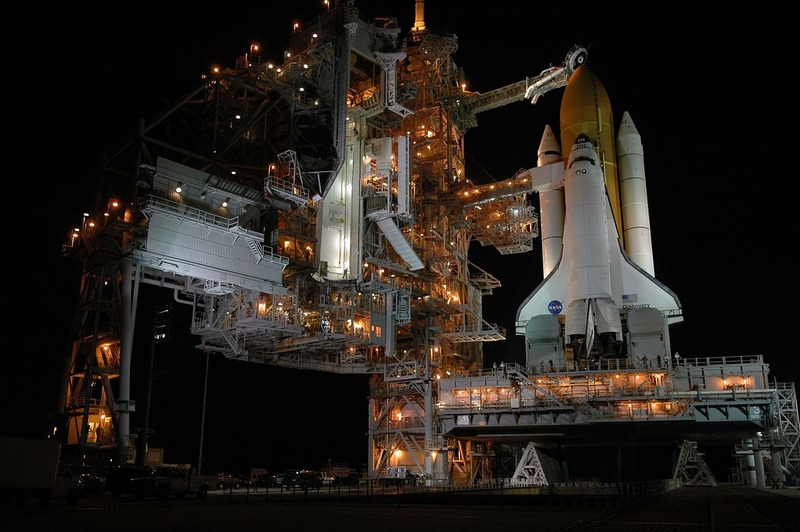 This will enable small companies to provide NASA services such as launch and landing platforms. This new process hopes to free up department workload so that more cutting edge pursuits can be put on the agenda. 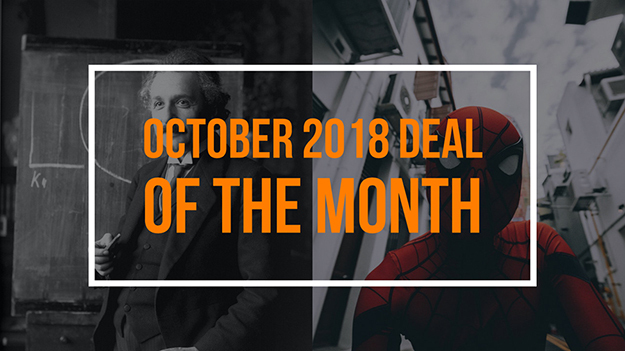 It's Time For Our October Deal Of The Month! It’s October! Time for our deal of the month! If you come into our shop wearing your costume you will get 20% all computer repair labor! Teachers are in luck! you’re already set to get 20%, no costume required. In Ontario, a computer virus scammer called the phone of a homeowner in Norfolk County stating that his computer had a virus. The victim, in a flurry of anxiety, gave the scammer access to his computer including all personal files and bank account information. The next day, approximately $20,000 was missing from the victim’s account. Though the story happens to take place in Ontario, scammers are prevalent throughout North America and, with a recent increase in robocalls, it doesn’t seem like it’s going to stop any time soon. This is why you need professionals who you can trust that have experience in virus removal. – Do not click pop-ups. At all. Ever. – Do not accept unsolicited calls. – Only open emails from places or people you trust. – Enable the pop-up blocker feature on your web browser. – Update all anti-virus software before doing anything on your computer. Core i3, i5, and i7 – What’s the Difference?